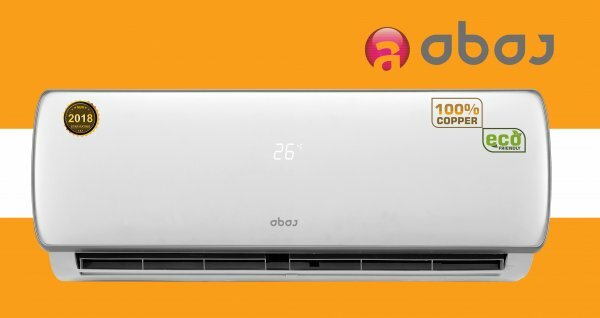 Abaj, known for its LED TV’s has now launched E-Saving Series of Inverter ACs in India. Abaj Inverter Split ACs come in 3 Star and 5 Star rating in 1 Ton and 1.5 Ton capacity. The E-Saving Series of ACs by Abaj incorporates the Inverter Technology which makes its energy efficient and it is Ozon Free Gas which saves environment. The 3 Star and 5 Star Inverter Split ACs incorporates key features such as, Refrigerant Type (R-32), 4 Way Air Swing, Variable Speed type Compressor, Turbo Fan Speed, Gold Coated ODU Fins & Tubing. These ACs are silent machines with 55 db noise level of ODU. The E-Saving Series air conditioner complies with ISSER ratings and has stylish features like IDU LED Display, Remote Control with LCD Bit Display.